When it comes to operating a small business, it doesn't matter how good the idea is if the accounting behind the operations isn't solid. 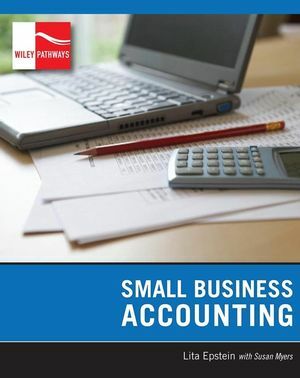 Now readers have a resource that covers the accounting tools and strategies that will help them run a successful company. They'll gain a strong foundation in basic accounting and then progress to accounting strategies for service businesses. They'll also learn about basic accounting procedures and find ways to utilize accounting techniques for a merchandising business. Lita Epstein excels at translating complex financial and political topics critical to people's everyday life. Building on her personal experience as a press secretary for a U.S. Congressman and her analytical skills developed as she completed her MBA from Emory University's Goizueta Business School, Lita helps people explore difficult financial and political issues. She has worked as a newspaper reporter and magazine editor. After getting her MBA degree, she served as associate director of development for President Jimmy Carter's international programs at The Carter Center. She is currently in the process of completing work toward her Certified Financial Planner designation and is a member of the Financial Planning Association. Clear, everyday language and clean format. Students can read each chapter without being intimidated by difficult language or overwhelmed by sidebars, textboxes, and other fillers that interrupt the flow of the writing. Modular format. Instructors can reorder textbook content to suit the needs of a particular class. The text proceeds logically from the basics to more challenging material, and chapters are further organized into sections that are self-contained for maximum teaching and learning flexibility. Pre-test. This pre-reading assessment tool in multiple-choice format introduces chapter material and the learning outcomes. By focusing students’ attention on what they do not know, the self-test provides a benchmark against which they can measure their own progress. What You’ll Learn in this Chapterand After Studying this Chapter. These bulleted lists tell students what they will be learning in this chapter and why it is significant. “What You’ll Learn…” lists focus on subject matter that will be taught. Each bullet in the list corresponds to a chapter section. “After Studying This Chapter…” lists emphasize capabilities and skills students will learn. Goals and Outcomes. These lists identify specific learner capabilities that will result from reading the chapter. They set students up to synthesize and evaluate the chapter material, and relate it to the real world. “For Example” Boxes. Found within each section, these boxes tie section content to real-world organizations, scenarios, and applications. Figures and tables. Line art and photos have been carefully chosen to be truly instructional rather than filler. Tables distill and present information in a way that is easy to identify, access, and understand, enhancing the focus of the text on essential ideas without distracting or overwhelming the reader. Self-Check. Related to the “What You’ll Learn” bullets and found at the end of each section, this battery of short answer questions emphasizes student understanding of concepts and mastery of section content. Each Self-Check question set includes a link to a section of the pre-test for further review and practice. Key Terms and Glossary. To help students develop a professional vocabulary, key terms are bolded in the introduction, summary and when they first appear in the chapter. A complete list of key terms with brief definitions appears at the end of each chapter and again in a glossary at the end of the book. Knowledge of key terms is assessed by all assessment tools (see below). Summary. 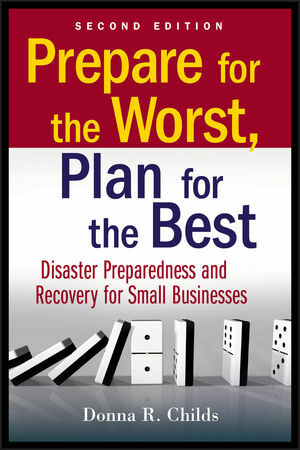 Each chapter concludes with a summary paragraph that reviews the major concepts in the chapter and links back to the “What You’ll Learn” list. Summary Questions. These help students summarize the chapter’s main points by asking a series of multiple choice and true/false questions that emphasize student understanding of concepts and mastery of chapter content. Review Questions. In short answer format, these questions review the major points in each chapter, prompting analysis while reinforcing and confirming student understanding of concepts, and encouraging mastery of chapter content. Applying this Chapter Questions. This feature is used to drive home key ideas by asking students to synthesize and apply chapter concepts to new, real-life situations and scenarios. You Try It! Questions. Designed to extend students’ thinking, these questions are ideal for discussion or writing assignments. Using an open-ended format and sometimes based on Web sources, they encourage students to draw conclusions using chapter material applied to real-world situations, which fosters both mastery and independent learning.